I think the idea of yoga depends a lot on the motivation behind it. Some people practice yoga almost purely for physical reasons, some find spiritual solace or emotional well-being. Some just like the chance to lay still in relaxation at the end of a class without anyone poking them. These motivations vary greatly, can change frequently, and certainly affect how students practice. For example: I generally like tuning into my breathing, letting my brain quiet, and connecting with my body during a yoga practice. Recently, however, I’ve been feeling off and haven’t been comfortable dwelling in my own head. A quiet meditative yoga practice will not work for me right now – I need something to get me out of my thoughts. So I’ve been ‘cheating’ and doing gentle yin postures at home while listening to Vinyl Cafe podcasts. 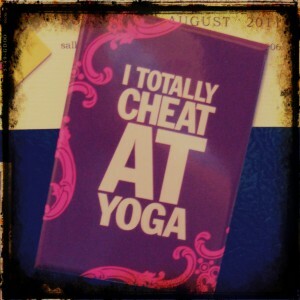 ‘Cheating’ and being comfortable in my yoga practice is far more important than trying to force myself into something that isn’t going to work. 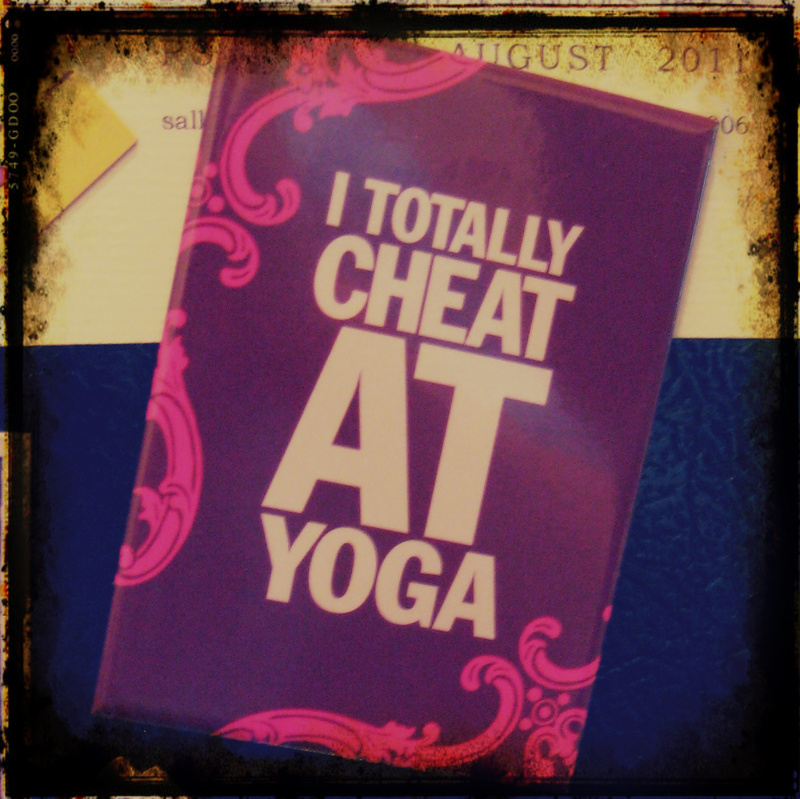 A dear friend gave me an awesome magnet a while back (shown on the side of our fridge above) that says “I totally cheat at yoga.” It reminds me to wholeheartedly embrace that idea and ensure my practice suits whatever motivation is getting me onto the mat in the first place!